APPLETON, Wis. — Ten Lawrence University hockey players have been chosen for the Northern Collegiate Hockey Association All-Academic Team. The group is led by three-time selections Felix Henriksson and Mattias Soderqvist. To be selected for the team, a student-athlete must be at least a sophomore and have a minimum 3.3 grade point average. Henriksson (Helsinki, Finland) and Soderqvist (Stockholm, Sweden) have both earned the maximum of three All-Academic selections. Henriksson, a senior defenseman, and Soderqvist, a senior goaltender, are both economics majors. Senior forward Ryan Eardley (Ile Bizard, Quebec) and junior forward Jake Roeper (Thiensville, Wis.) were both chosen for the second time. Eardley is an economics major, and Roeper is a double major in economics and geology. The other six Vikings earned the honor for the first time. Sophomore forward Nick Felan (Highland Village, Texas) is a neuroscience major, junior forward Justin Gregory (Franktown, Colo.) is an environmental studies major, junior forward Lane King (Waunakee, Wis.) is an economics major, junior defenseman Matt Montemurro (Glenview, Ill.) is an economics major, sophomore defenseman Tomas Vesely (Prague, Czech Republic) is an economics major and sophomore goaltender Greg Procopio (Philadelphia, Pa.) is undecided on a major. The 10 selections is the most for Lawrence on the All-Academic Team since 10 players were chosen after the 2006-07 season. APPLETON, Wis. — Lawrence University’s Evan Cline has been named to the Northern Collegiate Hockey Association All-Freshmen Team in a vote by league coaches. The rookie goaltender put together a stellar season and tied the Lawrence record for season save percentage. Cline (Freeland, Mich./Saginaw Heritage) posted a .924 save percentage to tie the record set by Peter Emery in the 2011-12 season. Cline posted the third-best goals against average in Lawrence history at 2.63. 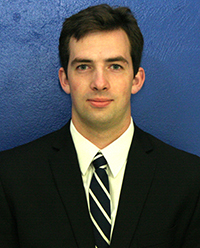 Cline posted a 3-7-3 record, but the Vikings averaged just 2.3 goals per game with him in net. Cline earned his first career win with a 2-1 victory over Marian University in which he made 38 saves. He had one shutout this season as he made 16 saves in a 4-0 win over Finlandia University. Cline also picked up a 1-1 tie with No. 2-ranked St. Norbert College as he stopped a season-high 49 shots against the Green Knights. Cline is the first Lawrence player to be honored on the All-Freshmen Team since forward Blake Roubos was picked in 2013-14. LAKE FOREST, Ill. — Lake Forest College scored three times in the first period Saturday and went on to a 6-1 Northern Collegiate Hockey Association victory over Lawrence University at Alumni Memorial Fieldhouse. Bron Loiselle scored twice for Lake Forest, and Billy Cooper made 19 saves to pick up the win. 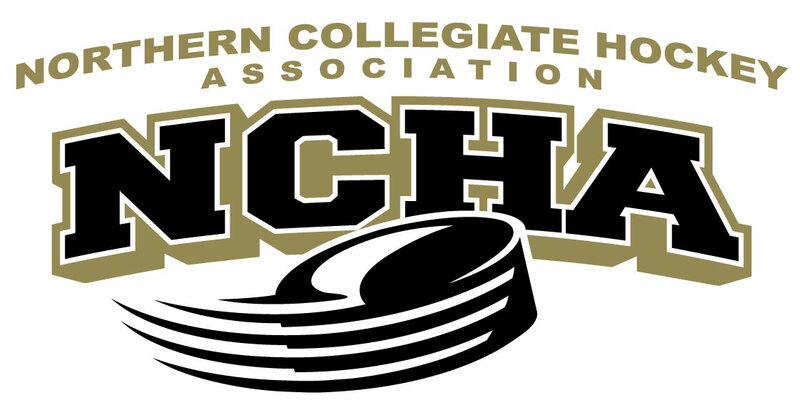 The Foresters (16-9-0, 12-8-0 NCHA) scored twice in a span of 1:03 early in the game to take control. Jimmy Cusan scored at the 4:48 mark, and Loiselle got his first goal of the game at 5:51 for a 2-0 edge. Jack Lewis made it 3-0 with a power-play goal at the 16:22 mark of the first, and Vito Aluia made it 4-0 early in the second. Lawrence (6-16-3, 5-12-3) got its lone score on Blake Roubos’ power-play goal at the 5:11 mark of the second. Loiselle got his second goal of the game on the power play at 16:39 to give Lake Forest a 5-1 lead after two periods. The Foresters were 2-for-10 on the power play, and Lawrence finished 1-for-6. Senior Mattias Soderqvist made 28 saves and took the loss in his final game for the Vikings. The game ended on an ugly note as 18 penalties were whistled against the teams in the final nine minutes. APPLETON, Wis. — Charlie Izaguirre’s empty-net goal as time expired in overtime Friday lifted Lake Forest College to a 3-2 Northern Collegiate Hockey Association victory over Lawrence University at the Appleton Family Ice Center. Lawrence, needing a win to keep its NCHA playoff hopes alive, pulled goaltender Evan Cline with 30 seconds left, and Izaguirre managed to push the puck across the goal line as the buzzer sounded to give Lake Forest the victory. It didn’t matter for Lawrence, which needed Concordia (Wis.) to defeat Northland College as well. Northland topped the Falcons 6-4. The loss ruined a great effort from rookie goaltender Evan Cline, who stopped 44 of 46 shots for the Vikings (6-15-3, 5-11-3 NCHA). Billy Cooper made 38 saves to pick up the win for Lake Forest (15-9-0, 11-8-0). Lawrence grabbed a 2-0 lead on goals from Josh Koepplinger and Carson Knop. Koepplinger scored off assists from Blake Roubos and Lane King at the 14:08 mark of the first period. Knop made it 2-0 with a power-play goal at the 10:01 mark of the second. Lawrence finished 1-for-5 on the power play, and Lake Forest was 0-for-6. Jack Lewis got Lake Forest on the board with an unassisted goal at the 15:16 mark of the second, and the Foresters tied it at 2-2 just 3:32 later on Jimmy Cusan’s goal. The teams wrap up the series and the regular season Saturday night at Lake Forest. APPLETON, Wis. — Lawrence University takes on Lake Forest College in a critical home-and-home Northern Collegiate Hockey Association series this weekend. The Vikings need to win both games and need Northland College to lose its two games this weekend to make the league playoffs. 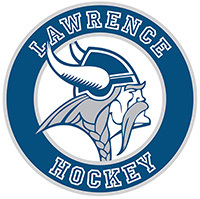 Lawrence hosts Lake Forest at 7 p.m. Friday at the Appleton Family Ice Center, and the Vikings travel to Lake Forest for a 7 p.m. game on Saturday. APPLETON, Wis. — Lawrence University kept its slim playoff hopes alive Saturday with a thrilling 6-5 Northern Collegiate Hockey Association victory over Northland College at the Appleton Family Ice Center. Brad Mueller’s goal just 57 seconds into overtime gave Lawrence the victory after Northland rallied to tie it on three different occasions in the final period. Mueller scored off a pass from Josh Koepplinger to score his second goal of the season and the first game-winner of his career. 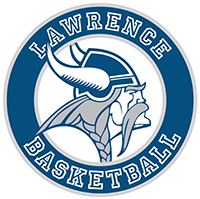 The win keeps the Vikings in the playoff hunt as Lawrence trails Northland by four points with two games left to play. Lawrence (6-14-3, 5-10-3 NCHA) led 3-2 heading into the third period after Austin Frank’s goal early in the second period had put the Vikings on top. Lucas DeBenedet scored on the power play just 2:27 into the third to tie the game at 3-3. It didn’t stay tied for long as Lane King scored at the 4:36 mark to put Lawrence up 4-3. Jacob Jeske tied it again for Northland when he scored at the 13:41 mark to make it 4-4. The Vikings then took advantage of a power-play chance when Koepplinger scored on the man-advantage off a pass from King with 1:09 left in regulation. Northland (10-11-2, 8-9-1) came right back for the equalizer as Ty Kraus scored with 32 seconds left to tie it at 5-5. Northland jumped on top with a power-play goal from Max Glashauser just 3:15 into the game. Koepplinger countered with a power-play goal of his own at the 5:07 mark to tie the game at 1-1. Nick Trefry put Northland back on top with a goal at the 8:23 mark, but Blake Roubos scored 31 seconds later to tie the game at 2-2. Evan Cline picked up his third victory of the season by making 33 saves for the Vikings. AJ Smith stopped 48 shots and took the loss for Northland. Lawrence had a 54-38 edge in shots. APPLETON, Wis. — Northland College held off a flurry of shots in the final two periods Friday night to score a 4-3 Northern Collegiate Hockey Association victory over Lawrence University at the Appleton Family Ice Center. The Vikings fired 27 shots on goal in the final two periods, but Northland took advantage of its limited opportunities to score twice in the third period for the victory. Lawrence had a 37-19 edge in shots for the game. 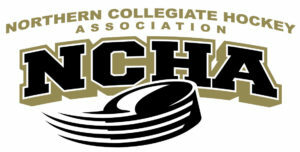 The game was tied at 2-2 heading to the third period when Northland (10-10-2, 8-8-1 NCHA) scored twice in a span of just 1:25 to take control. Kalib Ford’s slap shot from above the face-off circle at the 13:14 mark gave Northland a 3-2 edge. Kurt Sonne then scored at the 14:39 mark to put the Lumberjacks up 4-3. Lawrence (5-14-3, 4-10-3) battled back when Matt Beranek scored off a rebound at the 16:45 mark to slice the advantage to 4-3. The Vikings pulled goaltender Evan Cline with 1:42 left for an extra attacker and fired multiple shots at AJ Smith. With the defense piled up in front of the net, the Lumberjacks were able to block several shots and hang on. Smith finished with 34 saves to pick up the win. Cline stopped 15 shots and took the loss. The Lumberjacks grabbed a 2-0 lead with first-period goals from Kyle Salmon and Josh Racek. Lawrence then scored twice in the second period in a span of 1:58 to even the score. Luke McDiarmid got the scoring started for Lawrence when he created a turnover and beat Smith at the 8:21 mark to cut the margin in half. After the Vikings were whistled for roughing at the 9:20 mark, Lawrence picked up a short-handed goal. The Vikings had the puck and caught Northland in a line change. Some pretty passing led to Sean Reynolds’ short-hander at the 10:19 mark to tie the game at 2-2. The teams wrap up the series Saturday afternoon. APPLETON, Wis. — Lawrence University takes on Northland College in a critical Northern Collegiate Hockey Association series this weekend at the Appleton Family Ice Center. The Vikings trail Northland by four points for the final playoff spot from the North Division with just four games left in the regular season. Friday’s game begins at 7 p.m., and the puck drops Saturday at 4 p.m.
APPLETON, Wis. — Both Lawrence University men’s basketball and hockey face crucial games this week as both teams strive for postseason berths. Both teams have four games left in the regular season and are currently on the outside looking in for the playoffs. When and Where: Wednesday, Feb. 8, 5:30 p.m., Storzer Center, Ripon, Wis. The Series: Ripon has a 53-28 advantage in a series that started in 1975-76, the first season of Lawrence basketball. The Red Hawks have won 18 straight against Lawrence. When and Where: Saturday, Feb. 11, 1 p.m., Alexander Gymnasium. The Series: Monmouth has a 21-11 advantage over Lawrence in a series that started in the 1988-89 season. The Scots have won the last 17 meetings. Fast Fact: Junior guard Natalie Kramer is in her best stretch of the season after having scored in double figures in three of the last four games. Kramer is averaging 11 points per game over that period. When and Where: Wednesday, Feb. 8, 7:30 p.m., Storzer Center, Ripon, Wis. The Series: In a series that goes all the way back to 1906, Ripon holds a 138-81 edge over the Vikings. Ripon has won eight straight, but prior to that, Lawrence had taken 14 of the previous 21. When and Where: Saturday, Feb. 11, 3 p.m., Alexander Gymnasium. The Series: Monmouth holds a 70-41 edge in a series that dates to 1926. Lawrence has put a dent in that deficit under head coach Joel DePagter, whose teams are 14-3 against the Scots. Fast Fact: Lawrence faces a critical stretch of games if it wants to make the four-team Midwest Conference Tournament. Lawrence will likely need to win at least of its final four contests and get some help to make the tourney. The Vikings will honor seniors Pete Winslow, Mitch Willer and Connor Weas before Saturday’s game against Monmouth. When and Where: Friday, Feb. 10, 7 p.m., and Saturday, Feb. 11, 4 p.m., Appleton Family Ice Center. The Series: In a series that started in the 1997-98 season, Lawrence holds a commanding 59-15-3 advantage over the Lumberjacks. Lawrence is 3-0-2 in its last five games against Northland. Fast Fact: This is a make-or-break weekend for the Vikings, who are four points behind Northland for the final playoff spot from the North Division. A pair of wins would pull the Vikings even with the Lumberbacks and give Lawrence the tiebreaker. When and Where: Friday, Feb. 10, 7 p.m., Fox Cities Racquet Club. Fast Fact: The Vikings opened the spring season with a win over MSOE on Sunday and a pair of rookies, Cade Francour and Aidan Delgado, both picked up their first career singles victories. MILWAUKEE, Wis. — Austin Frank’s first goal of the season and a great effort by goaltender Evan Cline led Lawrence University to a 2-2 overtime tie with MSOE on Friday in a Northern Collegiate Hockey Association game at the Kern Center. Cline made 39 saves, including 15 in the third period, to help the Vikings to the tie. The Vikings (5-13-3, 4-9-3 NCHA) entered the third period trailing 2-1 when MSOE’s Zach Simpson was whistled for hooking at the 3:13 mark. Frank, a defenseman, scored on the ensuing power play off an assist from Josh Koepplinger to tie the game at 2-2 just 21 seconds later. Lawrence took an early 1-0 lead on another power-play goal in the opening period. Sean Reynolds scored with assists from Daniel Gysi and Matt Beranek on Lawrence’s first power-play chance of the game to take a 1-0 edge at the 15:39 mark of the first. Lawrence went 2-for-6 on the power play, and the Vikings held MSOE to 0-for-10. Brendan Unser tied the game at 1-1 with his goal just 2:31 into the second, and the Raiders took a 2-1 lead on Nick Redmon’s short-handed goal at the 11:25 mark. Austin Campbell stopped 15 shots for MSOE (9-7-5, 6-6-4).